In SolidWorks Simulation you may define external loads known as remote loads. Upon creation of a remote load you have the option of setting it to be either Direct Transfer or Rigid Connection. What is the difference? 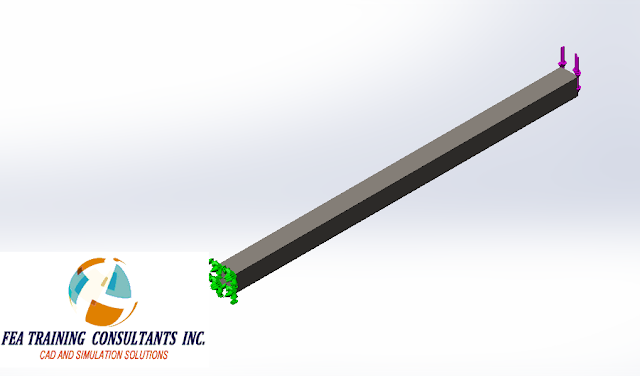 We may create a simulation study that reflects the cantilever beam loading conditions. It is fixed on one end and has a load applied on the other end. 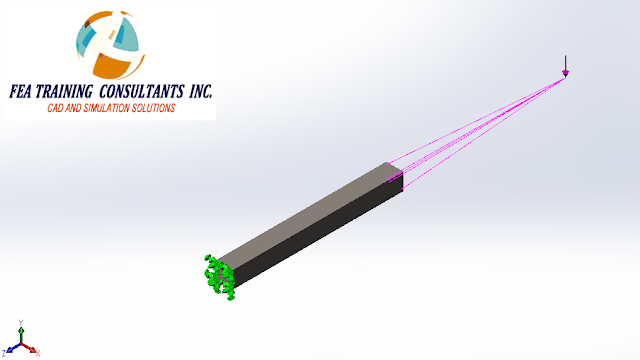 We can simulate the results of this study by excluding half of the beam and applying a remote load in place. Direct Transfer: Assumes that the component between the remote force and the connection point is adequately flexible, allowing the structure to deflect. 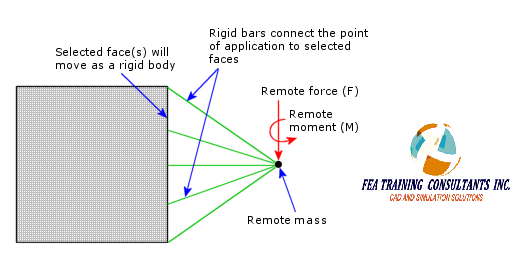 The program decomposes the remote force into a shear force and coupling moment acting on the connection face. 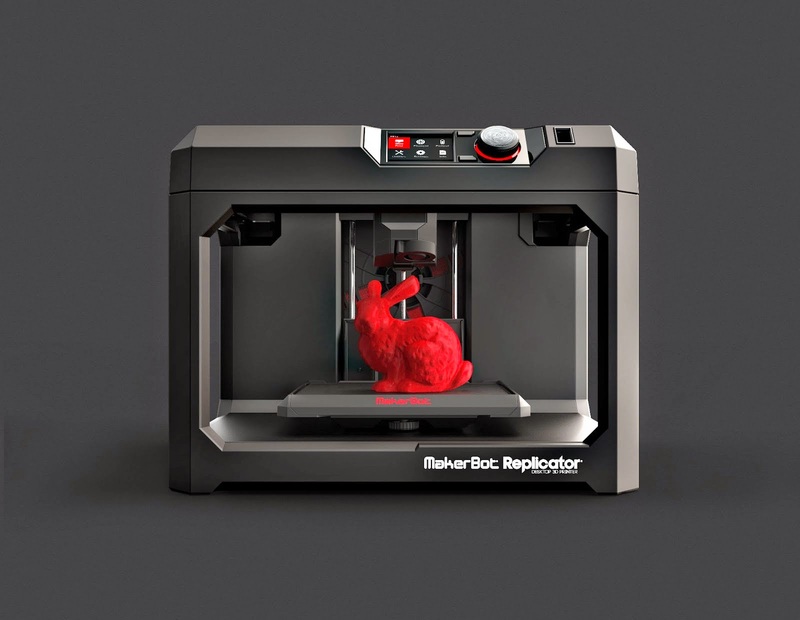 This allows the connection face to distort. Displacements must be within the small displacement assumption. Rigid Connection: Applies rigid links/ connections from the remote load to the connecting face. As a result when the face deflects, the face shape is maintained. High stresses can develop near faces with rigid connections. 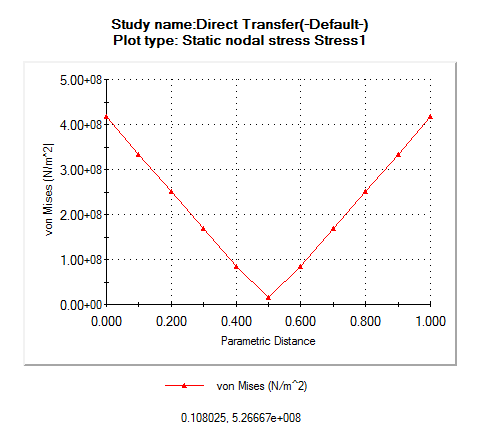 At first glance the results are not easily distinguishable; however upon closer inspection along the vertical axis of the connection face reveals that the stress distribution from the direct transfer and rigid connection options are different. 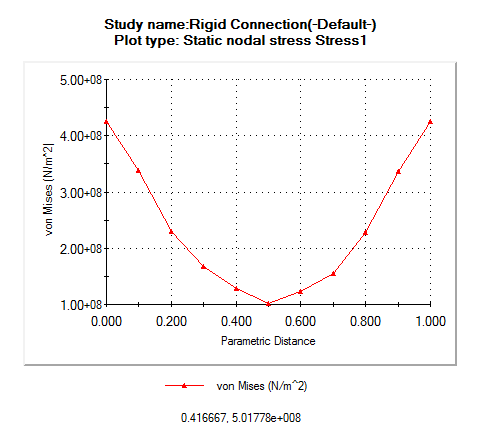 Choosing whether the remote load will be applied as a direct transfer or rigid connection will affect the simulation results.